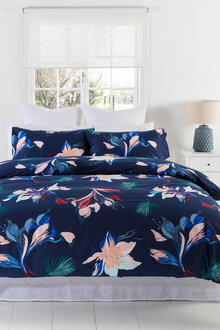 Cotton 250 thread count printed duvet set. Add an element of luxurious serenity to your home with the Tatum Duvet Cover Set. 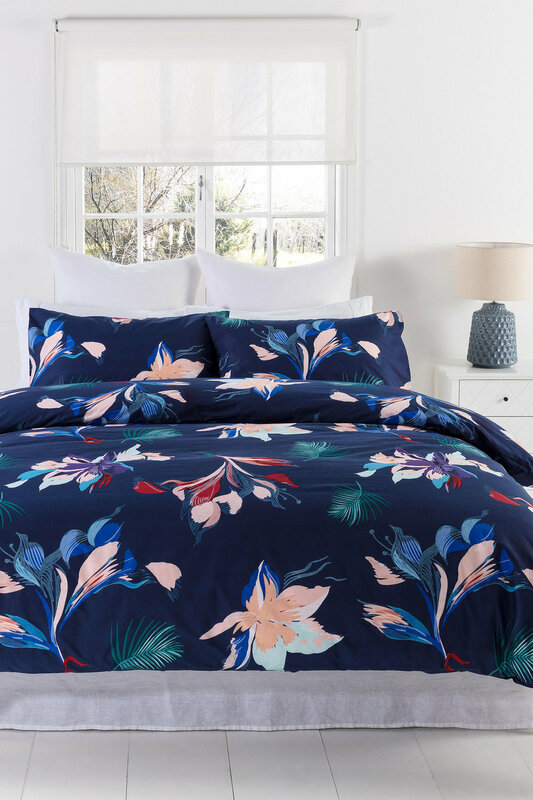 Featuring a stunning floral print that is gender and age-neutral, this set is the epitome of superior quality and refreshing style. It is crafted from a soft 250 thread count cotton, making it great for year-round use thanks to its easy-care and breathable nature, and features matching pillow covers.